On his birthday, let's remember the complicated and incomparable Vincent van Gogh with this quote, underscoring his compassionate humanism. 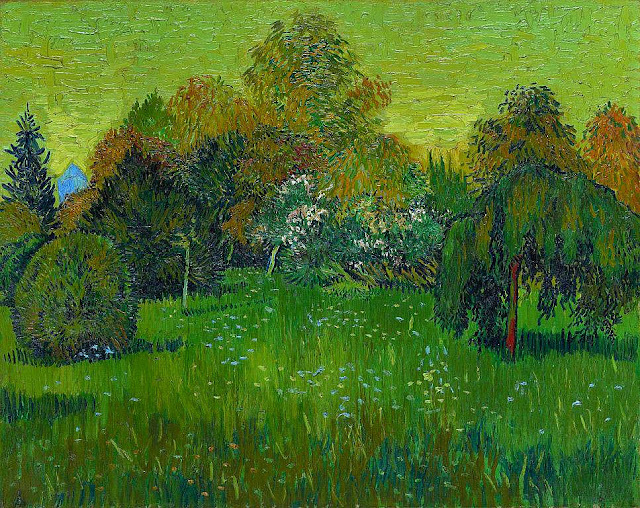 The Poet's Garden, inspired by the work of 14th century poet Francesco Petrarch (1304–1374), was intended for the bedroom of Paul Gaugin. The lush, verdant vitality of the garden belies this period of relative contentment for Van Gogh, as he anticipated the arrival of his collaborator and friend. Raise a glass to one of the most influential painters in Western art, the iconic Vincent Willem van Gogh (Dutch, March 30, 1853 - July 20, 1890).